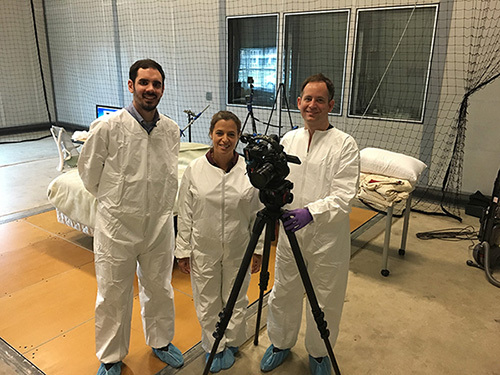 For the CNN story, Prof. Boor re-created an experiment that measures the amount of particulates that are aerosolized when we toss and turn in bed. In Herrick Labs' Perception-Based Engineering lab, Elizabeth Cohen tossed and turned in a bed, while Prof. Boor monitored the particles that were suspended into the air. He then offered some advice for people who want to keep their beds and bedding materials as clean as possible. Brandon's research can be found at http://brandonboor.com. You can read more about his studies of air quality in bed at this Scientific American article.